Ingrid Laue – An Inspiration…. There are times in one’s encounters when you meet someone who you think will be significant in your life. That was not the case with Ingrid. She scared me. I first met her at a Large as Life meeting, which for those of you who may not know was the very beginning of the plus size acceptance movement in Vancouver if not all of Canada. It was one of those times for me when it took all of my courage to go to this event. Me in the company of other women of size?? We never traveled in packs those days. Little did I know that it would forever change the course of my life. An aside, we should do things that are a challenge or a bit scary. Back to Ingrid, as fate would have it we were soon thrown together on a project ( yes, she got me right away). That was the beginning of a 30 year friendship. Ingrid was indeed one of those people who come into your life to teach you things you need to know. She taught me so much. What I liked about her and what scared me about her at the same time was she held her own council. She stood firmly in her own truth and was never a victim. Ingrid became the editor of the Bolster, a newsletter for Large as Life that by the way is now in the Canadian Women’s Movement Archives in Ottawa. In those days we did not have the luxury of computers and faxes were rare. Everything was cut and paste and hours of work. I still smile at all the work Ingrid did to make small figures look “chubby”. I was a contributing writer on the subject of fitness. I can still hear Ingrid saying to me “Magnolia, you will have to change paragraph one and add more information to the next sentence” and so on. I re-wrote, fixed and fixed again the things I submitted, muttering under my breath all the while. Yes my nickname is Magnolia. I know she saw in me the potential to do better and eventually I did. 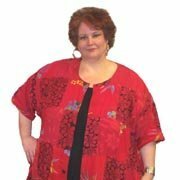 Ingrid was also one of those women who supported all my efforts to speak about living life in the fat lane and always encouraged me to do tougher projects. Ingrid spent some time as head of women’s studies at Langara College. I knew I had made it in her eyes when she asked me to speak to her students. I must add that I had to submit to her a C.V. which she made me work on a few times and also I had to submit my outline, something I had never been asked to do before. I think it got re-worked at least three times. In the beginning I believe I knew at some core level that as a mentor she would be there for me. I was also so lucky to meet her family, to spend time with her and her husband George in Summerland and to have had many a fine feast with her and friends. There is just so much more to Ingrid Laue, she obtained her PhD in Germanic studies at UBC and taught German language, literature and Women’s studies at Langara. She is published in journals and newspapers and also wrote articles in Canadian Living. She was an amazing cook, a good singer, she traveled for years and so much more. She really did live life to the fullest. Ingrid battled Diabetes for many years and in the end it won. She died on April 14th, 2010. How fortunate was I to have been one of the many people she influenced. I am so grateful I did tell her several years ago how much she did for me. She smiled and in Ingrid style said ” Magnolia, you did it”. I know for sure that she heard me loud and clear. Kate spoke at Ingrid’s Celebration and read a letter from Jenny. For women of size, the work Ingrid did in those days will continue to live on and now be carried much further by the younger women like Jenny who have used our history to further our understanding of these issues.